To get the most out of my Apple TV 4K, I asked the experts how they were setting it up. Here's what they told me. I'm working on my review for Apple TV 4K right now. 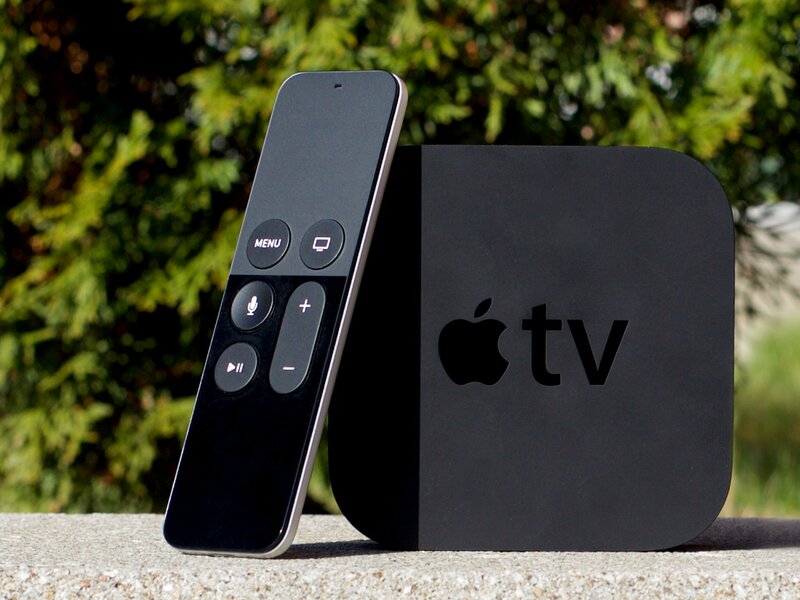 Prior the beginning my review, I queried and bugged a lot of people in a lot of positions to know about just what the best setup would be for the new Apple TV. Basically, I never go on vacation and have no life, so I had a little bit of money saved up to spend on it, but not a ridiculous amount. I got the $199 64 GB model because it stores more and I prefer to have the extra space than to have to wait (and use bandwidth) for re-downloads. To watch 4K HDR content you need a television capable of displaying 4K HDR content, and the LG C7P OLED 4K HDR television — available in 55- and 65-inch models — is the one all the experts are not only recommending but buying themselves. A lot. OLED (organic light emitting diode) technology means when the panel is dark, it's pitch black dark. But it also has the brightness and contrast ratio to really show off details in both light and shadow. It also covers over 90% of the DCI-P3 color gamut, so reds are deep and greens are vibrant. It also supports Dolby Vision, which you want, and Dolby ATMOS, which you can take advantage of even if Apple is running late. HDR is a far bigger difference than 4K, and this is the TV that really makes that impossible to unsee. (It also runs what's left of webOS, which makes me smile. And cry.) You can find cheaper and more expensive panels but this is really the sweet spot. Apple doesn't make an HDMI cable for 4K HDR but if they did, it would probably be pretty close to the Belkin Ultra High-Speed HDMI Cable . Now, this is the one area where my expert friends and contacts gave me wildly different advice. Some said "HDMI is HDMI, doesn't matter if a rat chewed through it, it just works" and others said, "Dude, gross, use a proper HDMI 2 cable that can transit the full signal". Since I'm spending so much on the components, I figured I'd err on the side of not connecting them via a crappy rat-chewed cable. At $29.95 you can certainly find a cheaper cable or stick with an older cable. But I'm not even letting a potential bottleneck get in the way of my HDR. Total cost was under $4K for 4K. Go figure. And most of that was the TV. I could have spent a lot less and gotten a lot less, or spent a lot more and gotten a little more, but this was the best kit at the best price, and it all came highly recommended. If anyone has any other recs, please let me know!